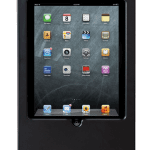 The 8438 Apple iPad POS enclosure includes lock and key to securely hold the unit to the mount. 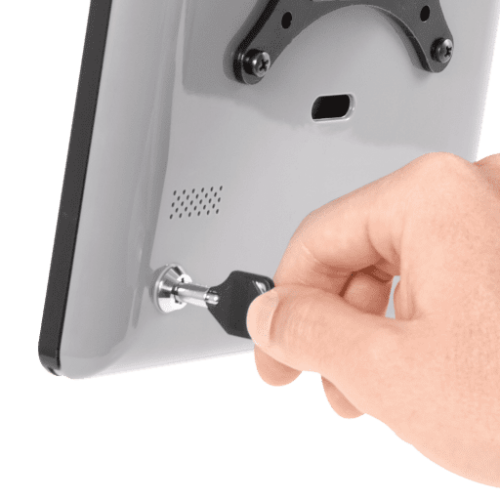 Includes option to block home button access. 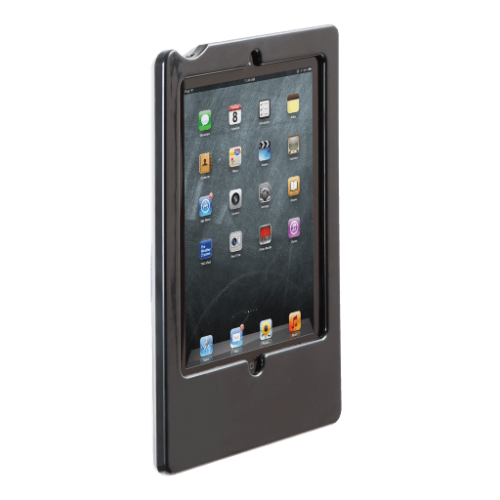 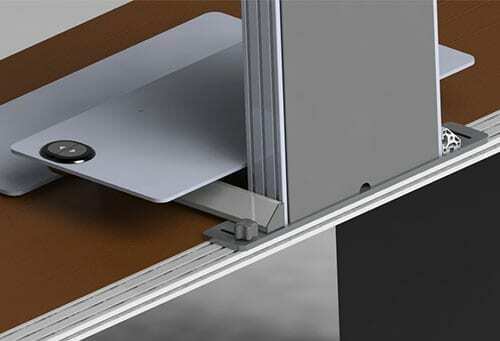 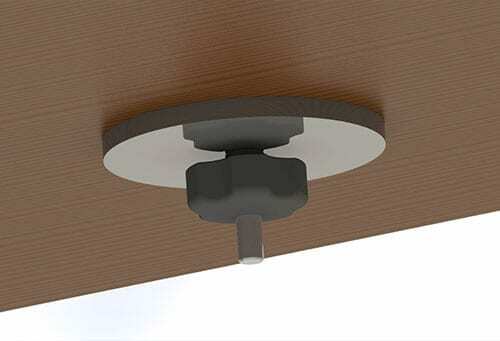 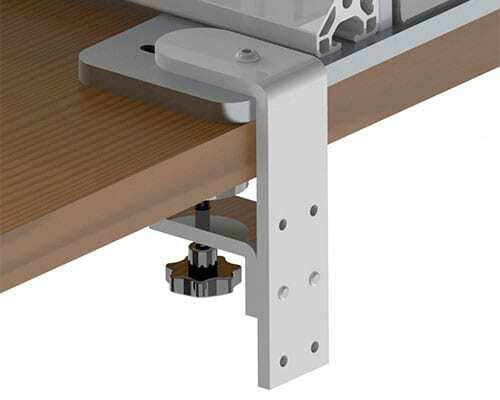 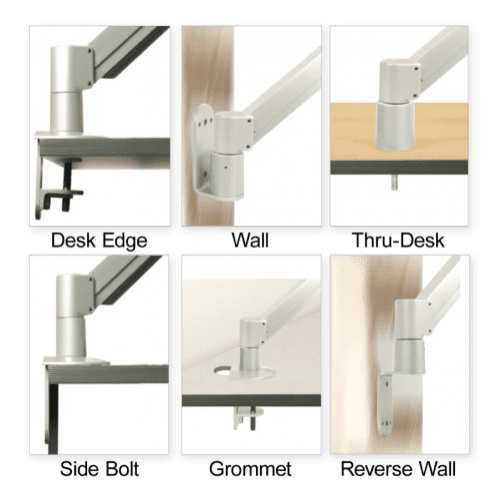 The 8438 is a secure iPad enclosure that is compatible with all Innovative VESA mounts. 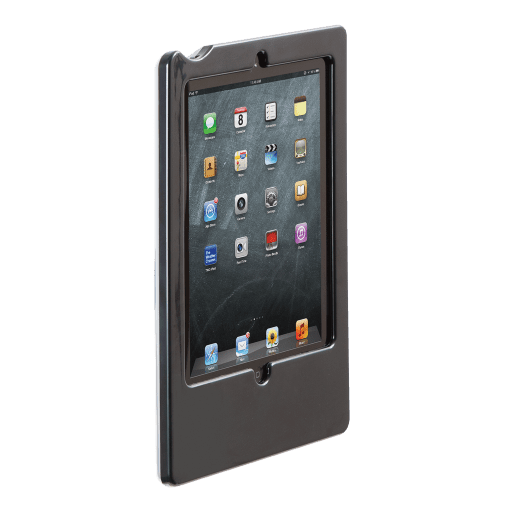 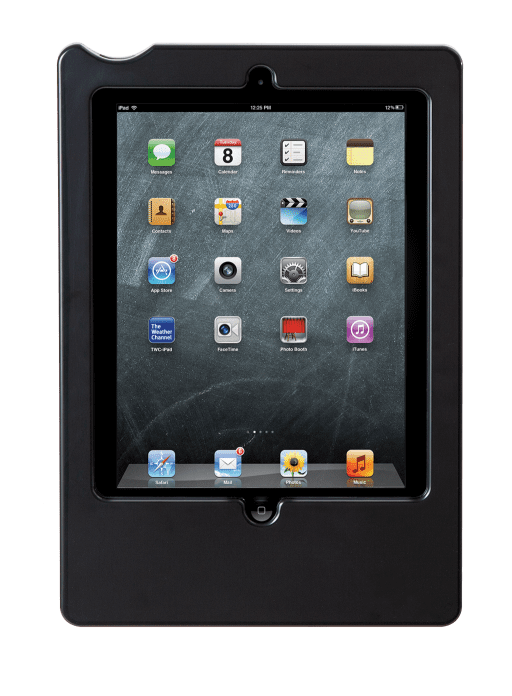 This secure iPad holder keeps the iPad accessible yet safe - the home button can be blocked if desire and the enclosure includes a security lock and key. 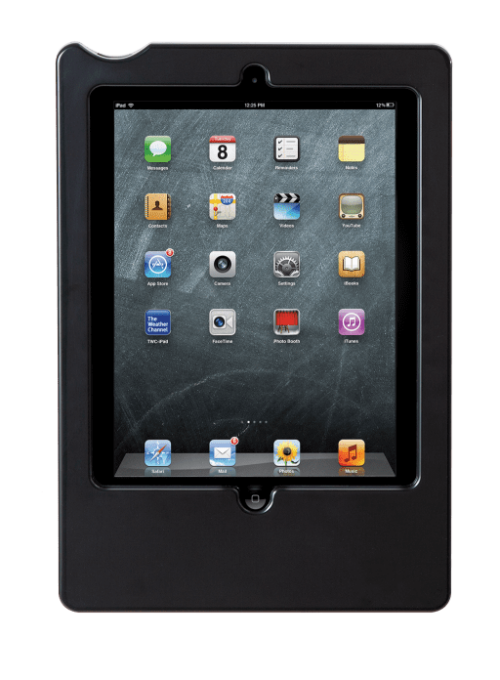 This POS iPad enclosure can be combined with any Innovative mounting product for a secure self-service POS application.